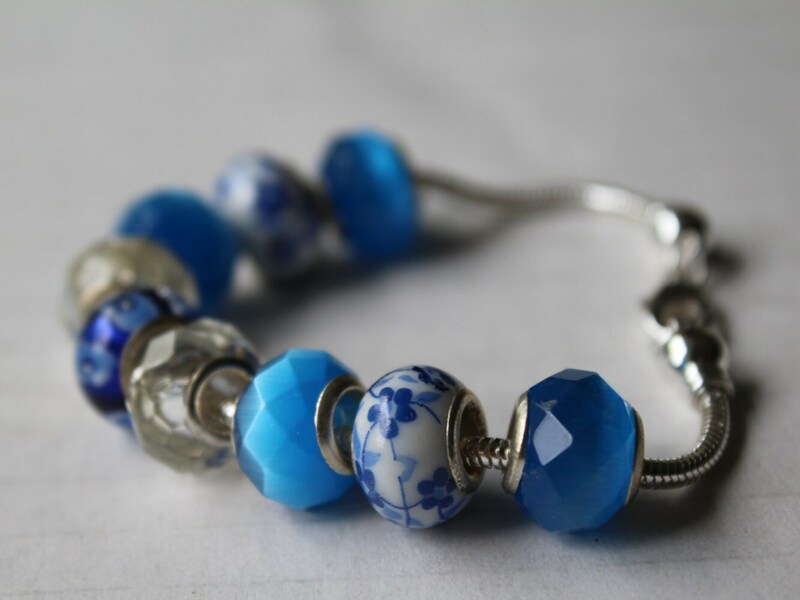 Winter, spring, summer...this bracelet reflects the blues of all seasons! 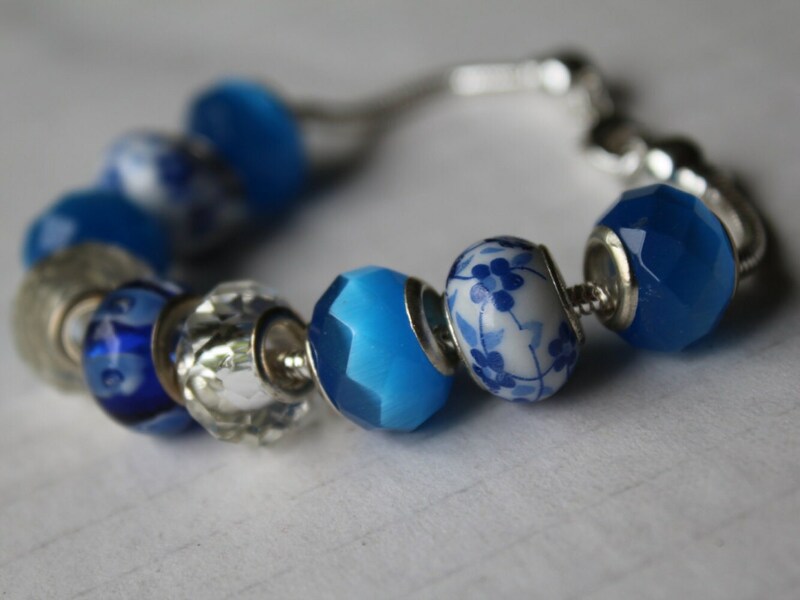 The bluish-white of icy winter, painted flowers of the spring, and ocean blues of the summer... Or, you can put on a pair of jeans, and know it will always work! 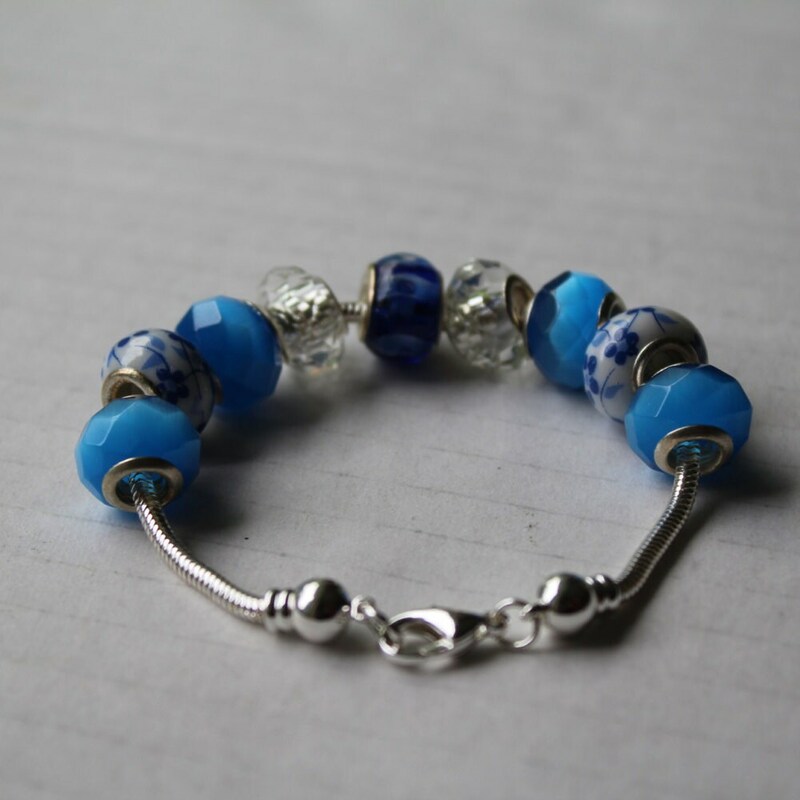 This blue tone bracelet is made up of cat's eye, porcelain, glass, and crystal beads. It's fun to wear, eye catching, and has great shades in it! Comfortable and fun to wear! 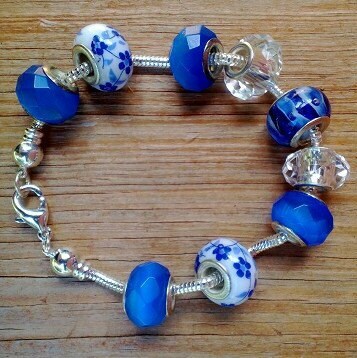 The chunky beads slide on the chain freely. This allows them to catch and reflect the light as you move your arm/hand. Note: 7.5 and 8 inch lengths available. Please specify which you would like. The silver-plated snake chain bracelet has a lobster-claw clasp.